The symptoms of HIV are diverse and vary with the stage of infection. Many of the symptoms related to early infection are due to the body's response to the virus itself, wherein the immune system is triggered in the presence of a foreign agent. The symptoms are, therefore, a result of the inflammation that occurs when the body is actively fighting an infection. The symptoms of later stage infection are different. These occur when HIV gradually deteriorates the body's immune system, reducing its ability to fight outside infection. The lower the immune response, the greater the risk (and range) of potential infections. The symptoms are, therefore, HIV-related—meaning that while HIV provides the opportunity for infections to develop, the symptoms are the result of a specific opportunistic infection (OI). When a person is infected with HIV, the virus goes through an incubation period of between one to three weeks. During this time, as the virus rapidly spreads through the body, the immune system triggers a response by means of defensive antibodies. These antibodies are used by the immune system to identify and neutralize disease-causing pathogens like HIV. Modern HIV tests rely on the presence of antibodies (or a combination of antibodies and antigens) to confirm that an infection has taken place. If an HIV test is performed too early, during the so-called window period, the lack of antibodies could give a false negative test result. The incubation period is immediately followed by the acute seroconversion stage, wherein the body's immune defenses are fully activated and in combat with the infecting virus. Other symptoms can include sore throat, mouth/esophageal sores, arthralgia (joint pain), and lymphadenopathy (swelling of the lymph glands). 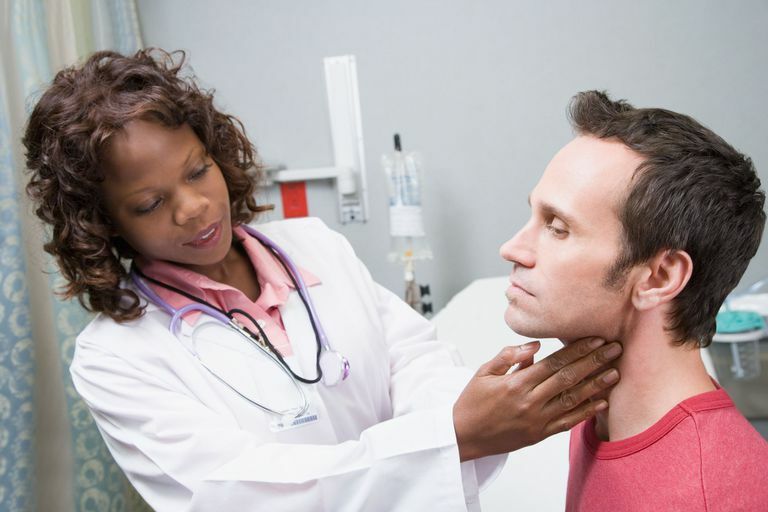 Most of these symptoms will resolve within a week to a month on average, while lymphadenopathy can sometimes persist for years. AIDS (or acquired immune deficiency syndrome) is the stage of infection where the body's immune system is compromised, allowing for the development of infections that the body could otherwise prevent. Certain HIV-related conditions and symptoms. These "certain" conditions are comprised of specific pulmonary, neurological, and gastrointestinal diseases as well as cancers and other illnesses that can affect those with compromised immune systems. There are currently just over 25 AIDS-defining opportunistic conditions that can present at various stages of infection, often well above the CD4 threshold of 200 cells/µL. Unless antiretroviral therapy is immediately implemented, persons with an AIDS diagnosis generally survive for around three years on average. The CD4 count is a means by which to measure the body's immune strength as determined by the number of defensive CD4 cells. As a general rule, people with CD4 counts of over 500 cells/µL are less prone to infection. Normal CD4 counts can range anywhere from between 500 to 1600 cells/µL. Once the number falls below 500, the likelihood of infection increases as immune barriers are gradually depleted. These infections, listed by CD4 count, can include the following. Neither symptoms—nor a lack of symptoms—are an indication as to whether an HIV infection has occurred. If you suspect you may have been infected, go to your nearest hospital, clinic or walk-in center for an HIV test. By testing early and implementing HIV therapy on diagnosis, people with HIV can significantly reduce the risk of HIV-related illness while increasing the likelihood of normal to near-normal life expectancy. Centers for Disease Control and Prevention (CDC). "1993 Revised Classification System for HIV Infection and Expanded Surveillance Case Definition for AIDS Among Adolescents and Adults." Mortality and Mordidity Weekly Report. December 18, 1992; 41(RR-17). Department of Health and Human Services (DHHS). "Guidelines for the Use of Antiretroviral Agents in HIV-1-Infected Adults and Adolescents." Rockville, Maryland. The INSIGHT START Study Group. Initiation of Antiretroviral Therapy in Early Asymptomatic HIV Infection." New England Journal of Medicine. July 20, 2015; DOI:10.1056/NEJMoa1506816.